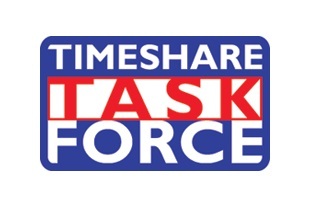 In mid – 2014 my wife and I were in dispute with an organisation named INTERNATIONAL TIMESHARE REFUND ACTION LIMITED (ITRA). The dispute centred on the validity of a contract which we had been persuaded to sign with them and make full advance payment on the day of £7k+ at the ITRA offices in Langley, Berkshire in June 2014. We soon thereafter discovered that the main premise by ITRA that our children would be responsible for ongoing annual timeshare maintenance was wholly inaccurate and that a supposed ‘3rd Party’ Agent quoted as being used in Spain by ITRA for disposal of our timeshare turns out to be ‘EURAFRIC’, which is an associate company of ITRA. Fortunately, we happened to read an article in the financial section of the Mail on Sunday, dated 9th August 2014, in which Mr. Chris Emmins, the co-founder of KwikChex warned of the activities carried out in the past by ITRA and its associates. We contacted KwikChex immediately on the number provided and for the next several months kept them apprised of our efforts in corresponding with ITRA in our attempt to recover our outlay. During this time staff at KwikChex were most supportive and helpful with their advice to us. Following several months of our telephoning/corresponding with ITRA it became plain that they would on no account accept our cancellation demand re the June 2014 contract. Thus in December 2014 we advised ITRA that we were then escalating matter further and placed our case fully in the hands of KwikChex. From then on the support and reassurance we received from the staff of KwikChex, and in particular from the CEO, Mr. Chris Emmins was totally professional and positive. After considering various options investigated and suggested by KwikChex we decided to opt to recover our outlay via the County Court Small Claims process, for which the necessary paperwork was prepared and submitted on our behalf by KwikChex. From thereon, the court process was followed through until Judgement in our favour was made by the County Court in Milton Keynes on 14 June 2016, in which it was declared that the original contract with ITRA was deemed to be null and void and that full refund of our £7k+ outlay, together with allowable costs be made to us within 14 days; further, that our original timeshare deeds be returned to us. We are truly grateful for the fantastic work and support we have received from KwikChex, inclusive of their organising solicitor representation. Had it not been for the actions; dedication and encouragement of Chris Emmins and his team at KwikChex it is highly questionable whether we would have been able to pursue this action through to a final successful outcome against ITRA. We would encourage anyone who is or have been victim to similar treatment as experienced by us with ITRA to make contact and place themselves in the safe and trustworthy hands of KwikChex.